One of the most controversial contemporary artists portrays the autocratic Chinese regime thru conceptual artwork. According to Britannica (1), WeiWei is a Chinese artist and activist, specialised in painting and sculpture. Together with his father Ai Qing, a famous Chinese poet, he was exiled to a remote village in northeast China. After the Chinese cultural revolution in 1976, his family was free of the exile, and WeiWei enrolled at the Beijing Film Academy. In 1981 he moved to New York, where he attended Parsons school of design. The whole system — not just the political leadership, the military too, the whole power structure, our education system, the whole of society — is suffering from being cut off from the free flow of information. That’s why the country can’t face up to open competition — unless it resorts to measures like North Korea. There’s a unit, I think it’s called “Office 608,” which follows people with certain categories and degrees of surveillance. I am sure I am in the top one. They don’t just tap my telephone, check my computer and install their cameras everywhere — they’re even after me when I’m walking in the park with my son. Being born in a conservative autocracy, as a child of progressive parents, as a New York bohemian, WeiWei decided to put much effort on emphasizing the terrors of the Chinese regime. His innovative approach, a combination of art and activism was very well received by the global artist community, the interest in his works of art was so dense that even The British Royal Academy, a relatively conservative institution decided to present its artwork in a marvelous exhibition. Being born in a totalitarian regime, I understand the struggle and the significance to oppose the tyrant, in any way possible. 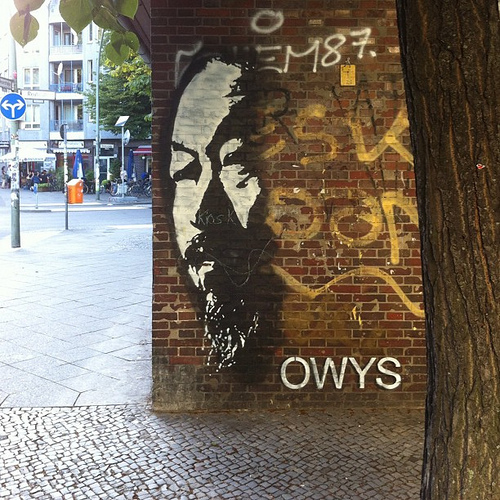 The question remains: If WeiWei was born and raised in a developed Western democracy, what would his artwork be like? What would his inspiration be?